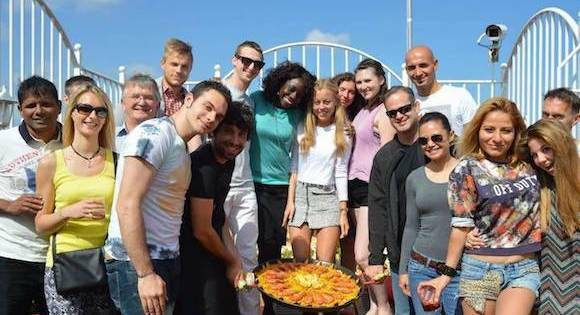 If you would like to stay in a high standard self-catering apartment, located right above our school, sharing the apartment with other international students from our school, you should choose to stay in one of our On-site Superior Apartments. 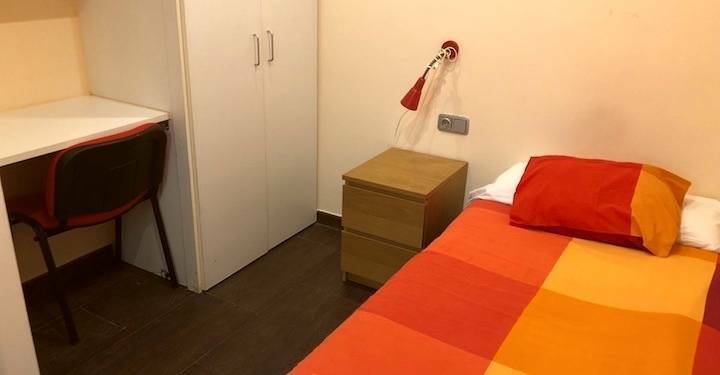 These apartments are all in the same building as our school, ideally located in the centre of Barcelona, just 10 minutes' walk from Plaça de Catalunya. 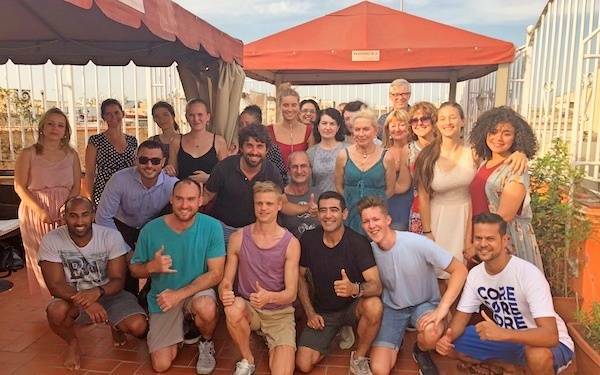 If you would like to stay in a high standard self-catering apartment, sharing the apartment with other international students from our school, you should choose to stay in one of our On-site Superior Apartments. 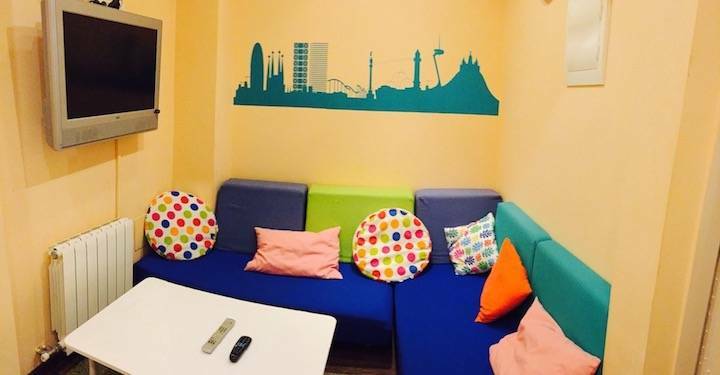 There are 9 student apartments, all in the same building as our school, ideally located in the centre of Barcelona, just 10 minutes' walk from Plaça de Catalunya. 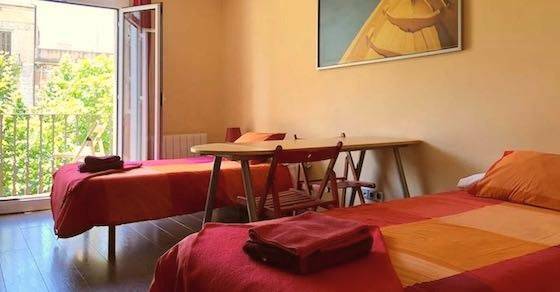 This accommodation is ideal for students who do not want to travel to the school every day for their Spanish lessons and for those who like to be guaranteed accommodation in the centre of Barcelona. 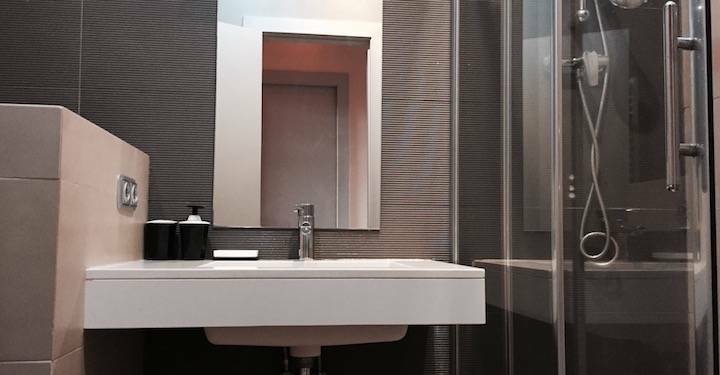 The apartments are all recently refurbished, with modern kitchens, high standard bathrooms and flat screen televisions in the living area of each apartment. Meals are not included. Students can cook for themselves, as each apartment has a fully fitted modern kitchen. 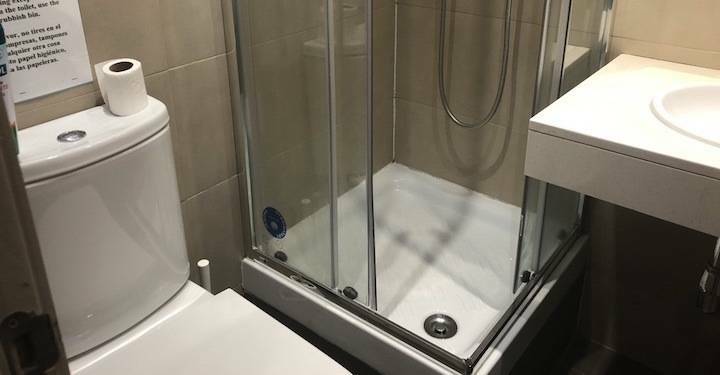 If you would like to live in a high standard student accommodation, in the same building as our school but with meals provided, you should choose our On-site Superior Residence. Meals are not included in this accommodation option. 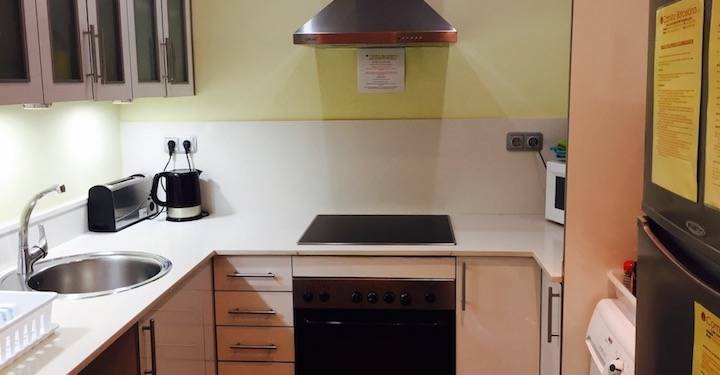 Students can cook for themselves, as each apartment has a fully fitted modern kitchen. 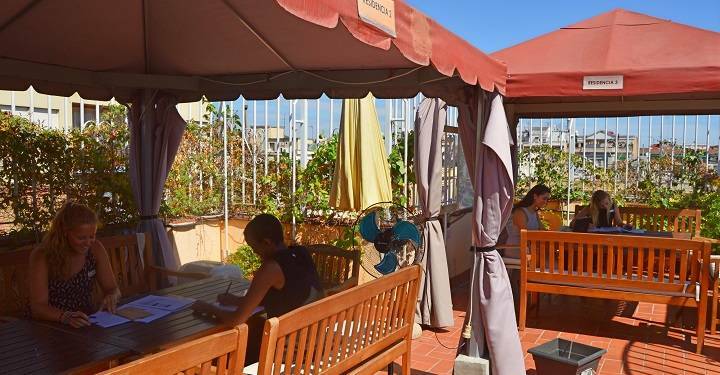 These self-catering apartments are ideal for students who wish to cook for themselves, sharing accommodation with other international students, right in the centre of Barcelona, in the same building as our school. 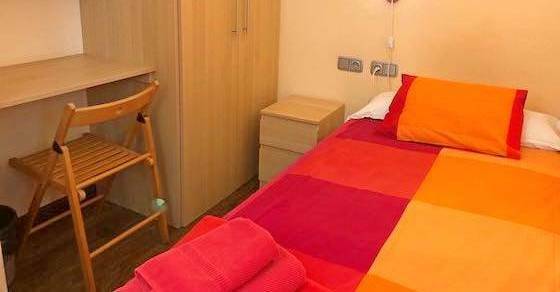 If you would like to live in a high standard student accommodation, in the same building as our school but with meals provided, you should choose our On-site Superior Residence. The On-site Superior Apartments have sun terraces on the roof of the building, where students can go to sunbathe, study or just relax. These extensive sun terraces on top of the building are very popular with students on sunny afternoons after class, and at the weekend. 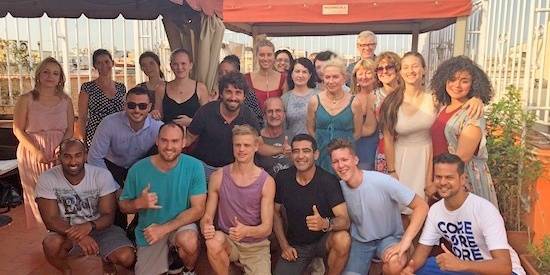 Moreover, some of our most popular activities, such as paella party or dance parties take place on the school terrace.